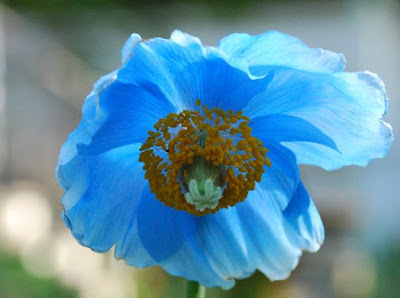 Himalayan blue poppies echoing the bluest spring sky. 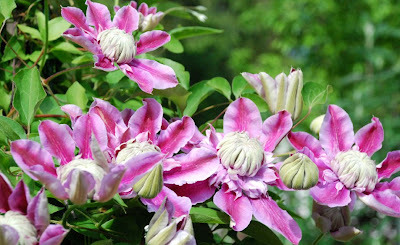 Candy striped pink and white clematis with dramatic mum-like centers, engulfing their obelisk support. 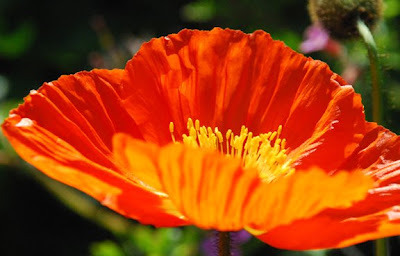 Vivid orange and red-orange poppies, their textured petals like fiery, crinkled silk. Lilac bushes bending under the weight of their fragrant cascades. My hammock, slowly swinging as I relish these snapshots of spring. 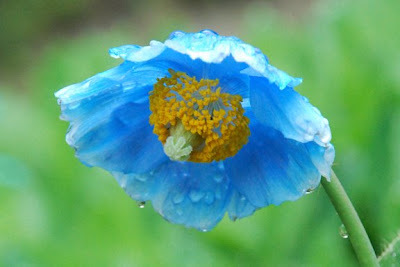 I LOVE the Himalayan Blue Poppy!! I have never seen one before. 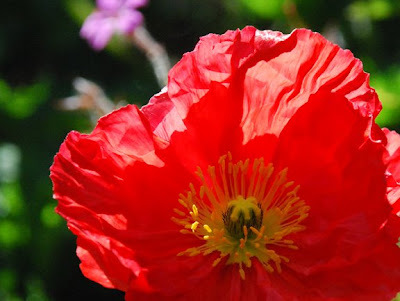 How lucky you are to have such gorgeous flowers amoung which to swing! Enjoy! AMAZING PICTURES. You have such a eye with the camera!